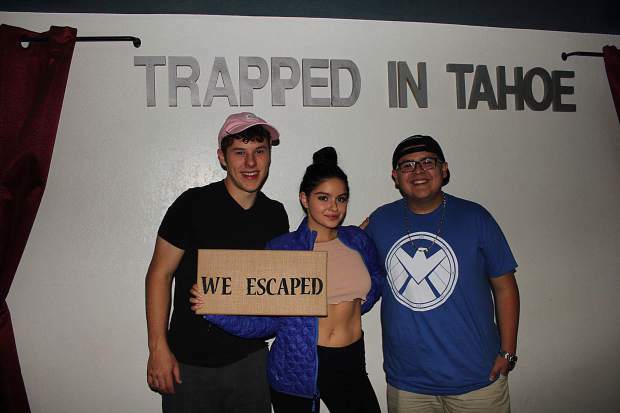 "Modern Family" stars (from left) Nolan Gould, Ariel Winter and Rico Rodriguez spent time off from shooting the season nine premiere at Trapped in Tahoe. 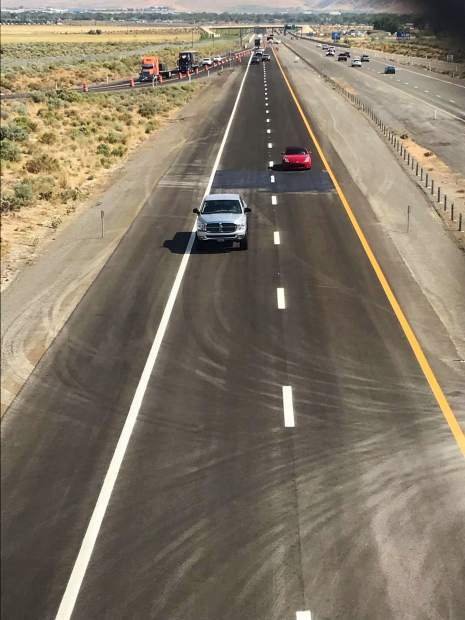 The Carson City bypass opened on Wednesday, Aug. 2. It is the last leg of I-580. An excavator tears down a portion of the Knights Inn at the groundbreaking ceremony for the future Bijou Marketplace. 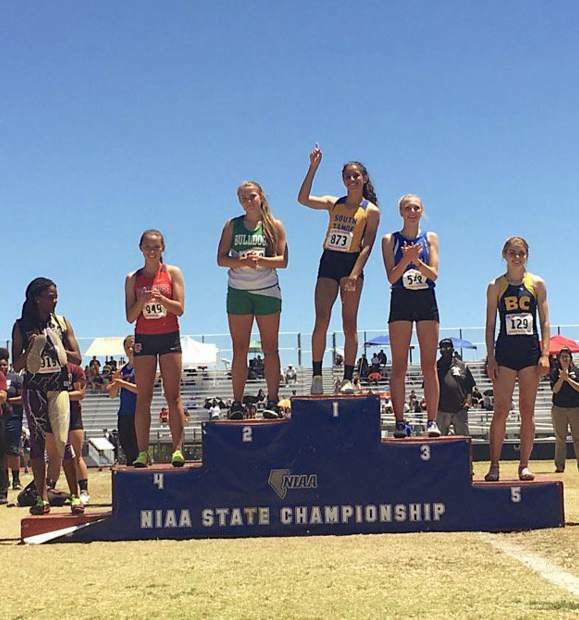 South Tahoe senior Maya Brosch takes her rightful place at the top of the podium. Brosch took gold in all of her events, sweeping the podium. At AleWorX, customers pour their own beer. 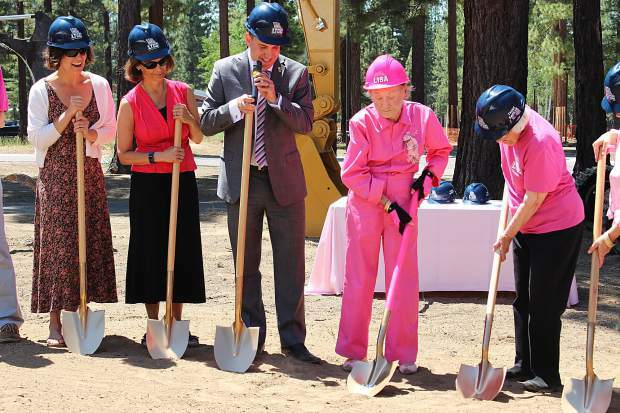 Donning all pink, philanthropist Lisa Maloff breaks ground on Lake Tahoe Community College's new university center made possible by her $5.8 million donation. A team with TowBoatU.S. Lake Tahoe floats a sailboat that had been sitting at the bottom of the lake for months. The line around NuLeaf stretched around the building before the store’s recreational marijuana opening on Saturday, Aug. 5. Martin Hollay shows off nearly 50 years of Heavenly Mountain Resort season passes while his daughter Cezi Hollay looks on. There are no trashcans or dumpsters at the site because it is not an official recreation area. A corral for broken sleds was tested out this year. Joe McAvoy makes his way toward the podium to be recognized. 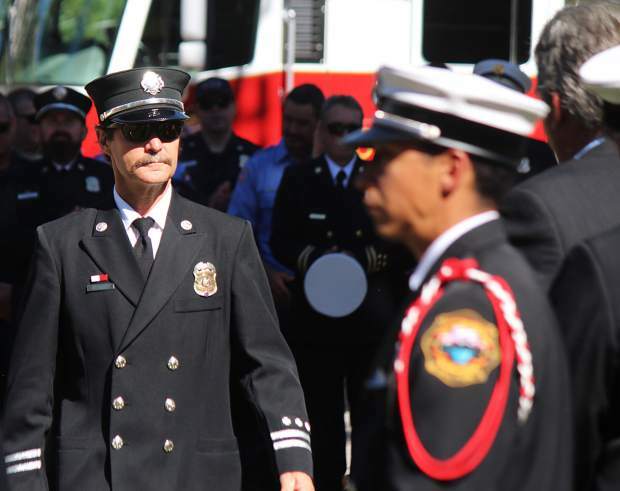 McAvoy was a Lake Valley Fire Protection District firefighter during the Angora Fire. He stayed on the line despite losing his own home in the blaze. South Tahoe senior softball pitcher Kendra Conard finished her most recent season with a 0.84 ERA, her best record as a varsity player. 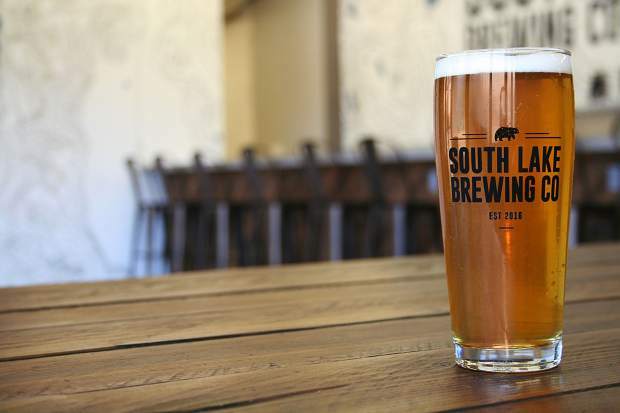 South Lake Brewing Company hosts a grand opening weekend May 26-28. 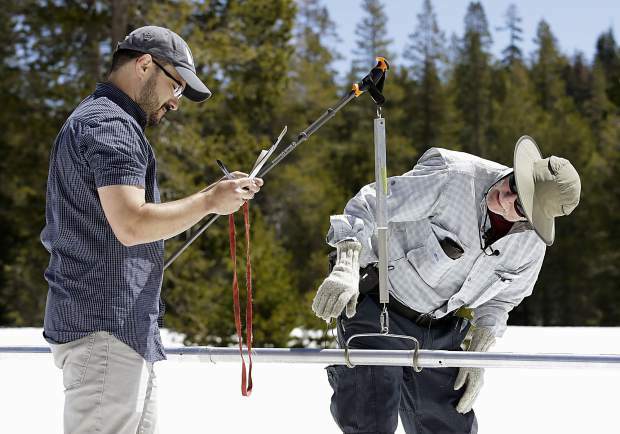 Frank Gehrke, right, chief of the California Cooperative Snow Surveys Program for the Department of Water Resources, checks the snowpack weight on a scale held by DWR's Wes McCandless, while doing the manual snow survey at Phillips Station, Monday, May 1, 2017, near Echo Summit, Calif.
Dan Pham, 41, was last heard from Thursday morning when he took off in a kayak for a camping trip in Emerald Bay. Harrah's Lake Tahoe is the first casino in Northern Nevada to feature Gamblit Gaming's new skill-based video game tables. 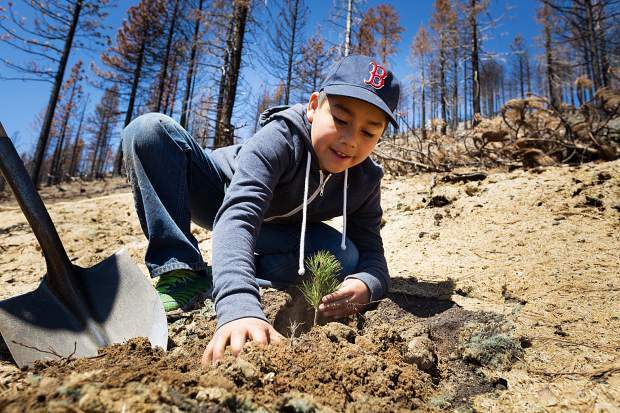 A young volunteer for the Sugar Pine Foundation plants a seedling in the Emerald Fire burn area on Saturday, May 13. High Vibe Society has secured a location for its shared artist studio space. The building is located at 989 3rd Street in South Lake Tahoe. The multimedia presentation will play at night from 9 - 11 p.m. and tell the story of the threats to Lake Tahoe's environment. This conceptual rendering depicts the endangered Southwestern Willow Flycatcher. 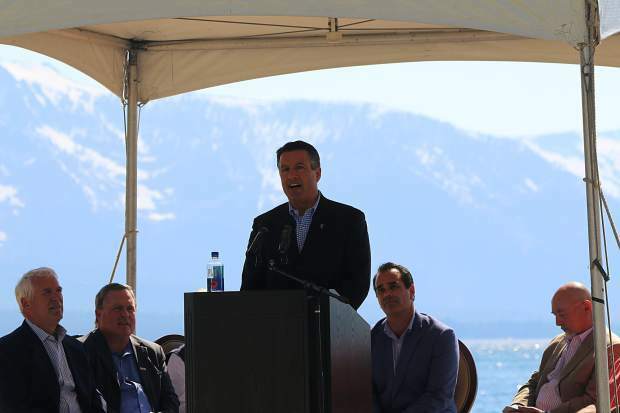 Nevada Governor Brian Sandoval praised The Lodge at Edgewood Tahoe for its environmental and economic benefits to Lake Tahoe’s South Shore at the grand opening held on Tuesday, June 20. Less than six months after South Lake Tahoe voters shot down an admittedly confusing sales tax increase question, City Council began considering a ½-percent sales tax increase for road repairs. A consulting firm presented the results of a city-commissioned poll, which showed a majority of voters polled would favor the measure. 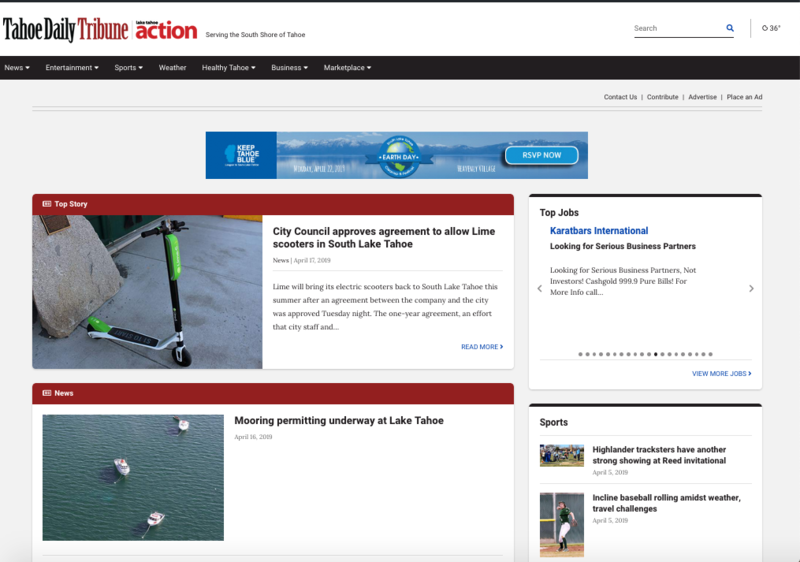 Council directed staff to move forward with wording the measure. Up in the mountains, officials warned that the melting of the massive Sierra Nevada snowpack would cause California rivers to surge and possibly overflow their banks well into the summer. Measurements taken on May 1 showed that the snowpack contained nearly twice the amount of water typically found at that time of year. 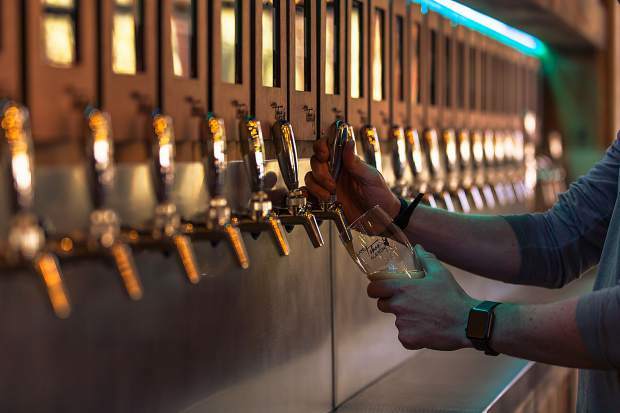 While scientists were concerned about water flowing down-mountain, some in South Lake Tahoe were concerned with what would be flowing out of taps — beer taps, that is. South Shore’s two newest craft beer destinations, South Lake Brewing Company and Lake Tahoe AleWorX, both hosted grand opening parties in May after soft openings in April. 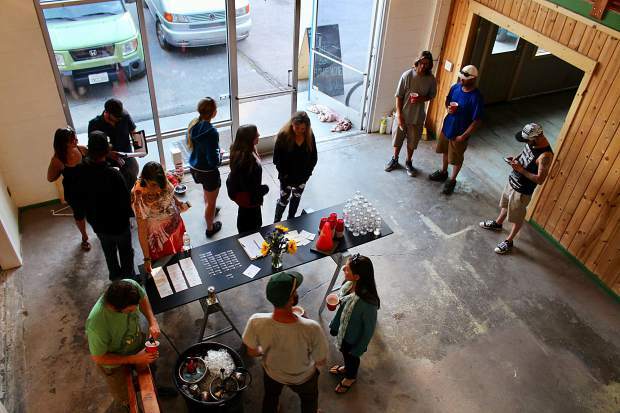 Not far from the two new brew spots, High Vibe Society Artisan Collective hosted an open house after closing on a 5,000-square-foot building off of Lake Tahoe Boulevard. Founder Erin Ulcickas said she planned to transform the space into a shared studio, storefront and community center for creatives. 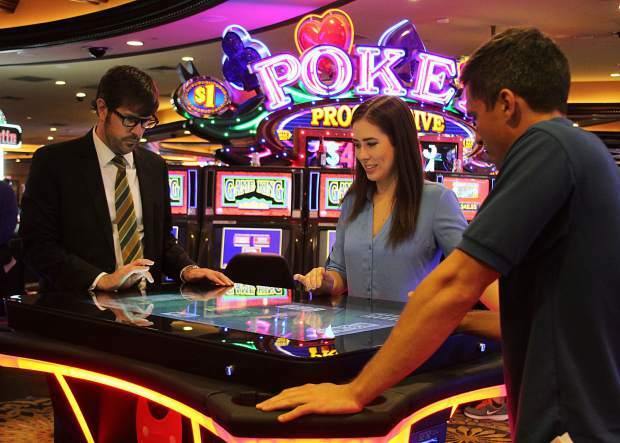 In Stateline, officials at Harrah’s Lake Tahoe unveiled Northern Nevada’s first interactive, skill-based video game tables. More than increased options on the casino floor, the games signified a larger shift in an industry still experimenting with how to appeal to younger adults. From gaming to garbage, volunteers and staff with multiple nonprofits and agencies collected 500 pounds of trash from the sledding hill near Spooner Summit. Of the 500 pounds of trash, broken sleds accounted for 11 pounds. 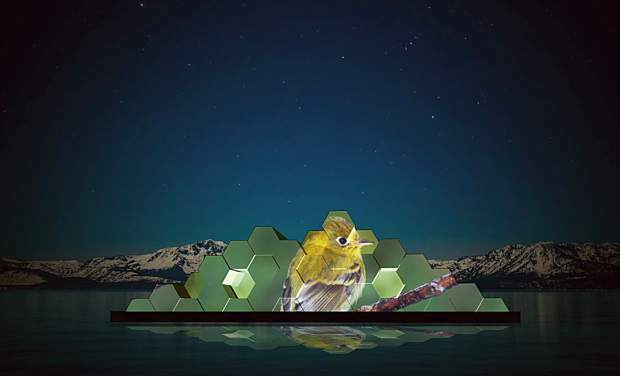 In a sign of Tahoe’s art scene gaining momentum, organizers announced plans to launch a 50-by-25-foot floating art installation digitally depicting data on climate-related threats to Lake Tahoe. While the planned art installation received mixed reviews from some, there was near universal praise over the removal of a sunken sailboat that sat on the bottom of the lake through most of the winter. With its mast sticking out of the water off El Dorado Beach, the boat had become an eyesore bemoaned by many. Nearly a decade in the making, a new housing project, known as Sierra Colina, finally started gaining steam in Stateline after delays in permitting and a lawsuit. The 18-acre parcel located between Lake Village and Sushi Pier will eventually have 44 single-family homes and adjacent townhouses. 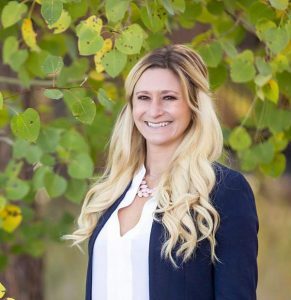 In education news, Lake Tahoe Unified School District announced that Carline Sinkler would be the new principal at South Tahoe High School. Researchers at the University of California, Davis found that Lake Tahoe clarity levels in 2016 increased in winter and decreased in summer. The summer declines were so large that they outweighed the improving winter clarity. The Whittell boys track team placed fourth out of 18 teams and the girls placed fifth out of 16 teams at the state championship. South Tahoe only took two athletes, both from the girls team, but still managed to place fifth out of 20 teams. Senior Maya Brosch and freshman Carissa Buchholz brought home a combined six medals in their events. 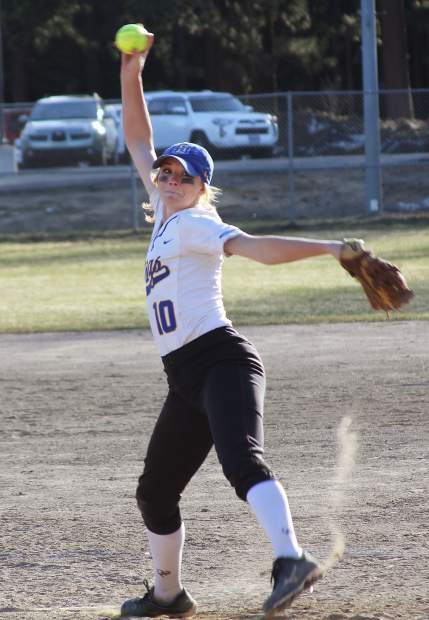 From the track to the softball field, South Tahoe senior Kendra Conard was awarded an athletic scholarship to play softball for the South Dakota State University Jackrabbits. As a varsity athlete, Conard recorded 616 strikeouts and finished with a 1.93 overall ERA. Several developments signaled that the fight over the U.S. 50/South Shore Community Revitalization Project — referred to as the Loop Road — was far from over, one being an appeal of a judge’s January ruling that deemed Measure T “unconstitutional,” “flawed” and “unenforceable.” Local attorney Bruce Grego filed the appeal. Grego also filed a complaint through the Fair Political Practices Commission against now-councilmember Jason Collin. In July 2016 before being elected to council, Collin filed a lawsuit challenging Measure T.
In city news, a study on vacation home rentals was released. While allowing VHRs to continue with the current regulations would have negative consequences, so would an outright ban, according to the study, which was commissioned by the city. The researchers suggested looking at additional regulation. City Council also unanimously approved a November ballot measure that would ask voters to raise the sales tax from 7.75 percent to 8.25 percent in order to fund road rehabilitation. The Minden community lost a dedicated member in early June when Stephanie Waggoner, 49, died two days after she was pulled from the Upper Truckee River in South Lake Tahoe. Waggoner was paddleboarding with friends. On Lake Tahoe, a team of divers set out near D.L. Bliss State Park to try and find Dan Vu Thanh Pham, a 41-year-old San Leandro resident and kayaker who had been missing for nearly a week. Meanwhile, organizers of the popular Bass Camp and Reggae festivals formally acknowledged that the festivals would not be happening in 2017 due to the lack of a desirable venue. At the same time, those organizers said they were working hard to ensure the festivals’ return on South Shore in 2018. Community members and other stakeholders gathered at Edgewood Tahoe’s $100-million lodge to formally celebrate its grand opening — nearly 25 years after it was first envisioned. 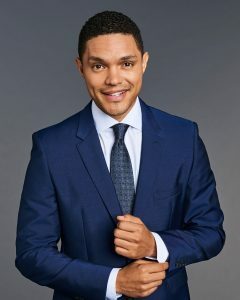 The list of speakers included Nevada Gov. Brian Sandoval, who praised the project for its economic and environmental benefits. On the California side of the state line, Lake Tahoe Community College broke ground on a new university center — a move that the school hopes will bring future opportunities for four-year degree programs. The center was made possible thanks to a $5.8 million donation by South Lake Tahoe philanthropist Lisa Maloff. Officials and residents set time aside to remember the 10-year anniversary of the Angora Fire — the most destructive fire in the Tahoe Basin in recent history. The blaze burned 3,100 acres and destroyed 254 homes. In doing so it reinforced the importance of fuel reduction and ignited a heated debate on land management and regulation. June also marked the return of Little Philly Cheesesteaks to Tahoe. Brothers Joey and CJ Saenz reopened the restaurant two years after they closed up shop in Stateline. They received a warm reception from customers — so much so that the restaurant closed down for two days in its first week because it ran out of food. Vail Resorts announced Mike Goar, who at the time was the vice president and chief operating officer of Keystone Resort in Colorado, would replace Pete Sonntag in overseeing operations in the Tahoe region. 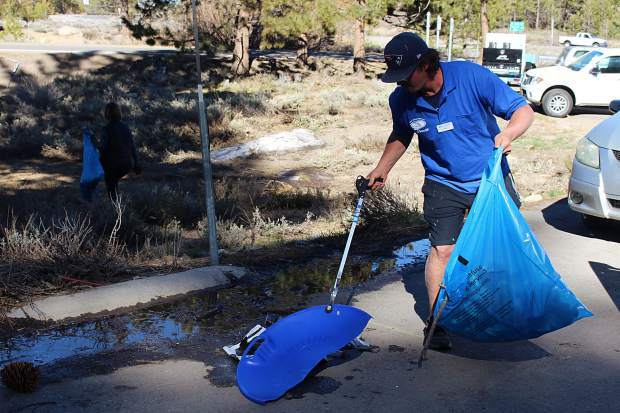 One day after the Fourth of July, more than 320 volunteers hit the beach and picked up a total of 1,676 pounds of litter from 5.6 miles of Lake Tahoe beaches. The previous year, volunteers collected 1,596 pounds of garbage on July 5. Meanwhile, noticeable progress started on the construction of the soon-to-be gated community, Gondola Vista Estates. Located next to Van Sickle Bi-State Park in South Lake Tahoe, the project includes 10 buildings, each containing two homes ranging in size from 2,500 to 4,500 square feet. New homes near Heavenly were one sight — green bikes soon became another. Bay Area-based LimeBike brought 200 of its custom-made bikes to the South Shore for a three-month trial period. 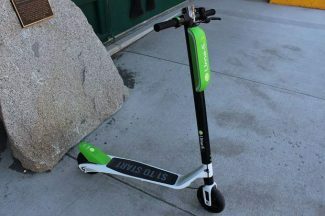 The lime green bikes have no docks, meaning they don’t have to be returned to a specific location after a ride. 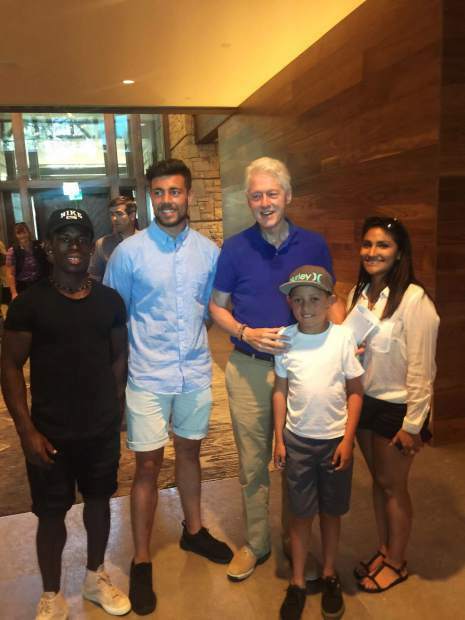 While Tahoe was inundated with celebrities for the American Century Championship, President Bill Clinton opted for a day of golf and relaxation off the hill at Genoa Lakes Golf Club in Douglas County. That decision came after word got out that the former commander-in-chief was in town. Generosity wouldn’t have been enough to restore running water at the Tahoe Keys Marina, which had its water shut off by the Tahoe Keys Property Owners Association Water Department for alleged unpaid bills totaling around $80,000. The water was turned on more than two weeks later in late July, but the legal dispute continued. 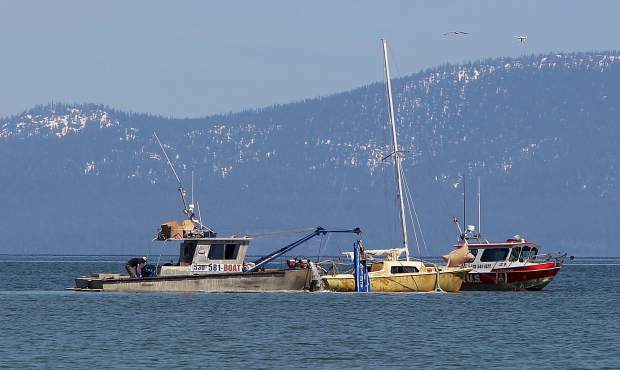 From one disagreement to another, a decades-old dispute over shoreline development in Lake Tahoe showed signs of coming to an end when the Tahoe Regional Planning Agency took the first of many steps in assessing the environmental impact of its proposed plan regulating piers, buoys, marinas, ramps and slips. July was a popular month for retirements, or at least celebrating them. After a long and meaningful career as a teacher, Konnie Susich retired from Zephyr Cove Elementary School. Friends organized a retirement celebration at the beach. In more grim news, researchers at the University of California, Davis concluded Lake Tahoe is still warming by half of a degree Fahrenheit each year, continuing a four-year trend driven by climate change. The rate is at 14 times the historic average. On the subject of climate change, Vail Resorts, which owns and operates Heavenly Mountain Resort and Kirkwood Mountain, announced it will pursue a comprehensive sustainability commitment called “Epic Promise for a Zero Footprint.” The project commits to zero net emissions by 2030, zero waste to landfill by 2030 and zero net operating impact to forests and habitat. July marked the start of legal recreational marijuana sales at Lake Tahoe. 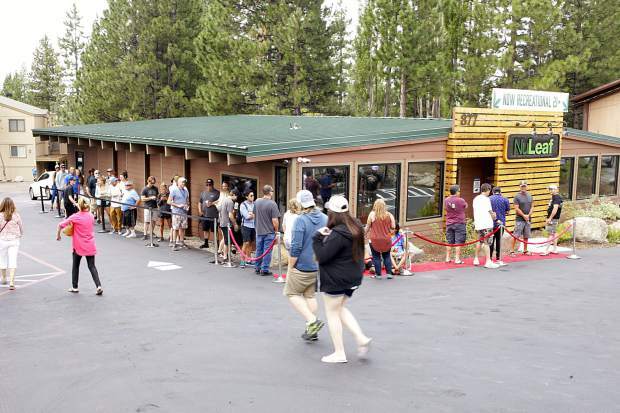 NuLeaf Tahoe in Incline Village served more than 2,000 customers during its opening weekend. It was the only dispensary to legally serve recreational marijuana at Lake Tahoe in 2017. The month started with some big news off the hill: The last leg of the Carson City bypass officially opened. Prior to its completion this summer, Nevada was one of only a few states without an interstate connecting to the capital city. The Nevada Division of Forestry issued a “Forest Pest Alert” in response to the devastating impact of the non-native white satin moth in Lake Tahoe Nevada State Park. The moth was responsible for 40-70 percent canopy loss in the North Canyon and Marlette Lake areas at the park. Sightings also were confirmed in the Carson Valley, Spooner Summit, USA Parkway area and Paradise Valley. 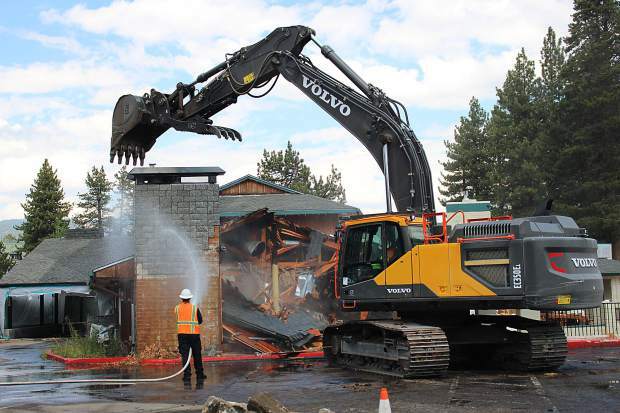 In South Lake Tahoe, construction of the Bijou Marketplace officially started with the demolition of the Knights Inn, the old motel that had sat on the property near the intersection of Ski Run and Lake Tahoe boulevards for decades. The site is the location of a future Whole Foods 365. While that project was coming together, a proposed affordable housing project in Stateline fell apart. The Douglas County School District Board unanimously voted to deny another extension of the closing date on the old Kingsbury Middle School. The proposed buyer, Lake Parkway LLC, previously entered into a purchase agreement. It had planned to build 420 units of affordable housing. The group behind a floating sculpture depicting data on climate-related threats to the Tahoe Basin announced that the art installation won’t make its appearance in Tahoe this year. Instead, organizers said the sculpture would be appearing at the United Nations Climate Conference – COP23 taking place in Bonn, Germany in November. The installation’s Tahoe appearance was rescheduled for July – August 2018. 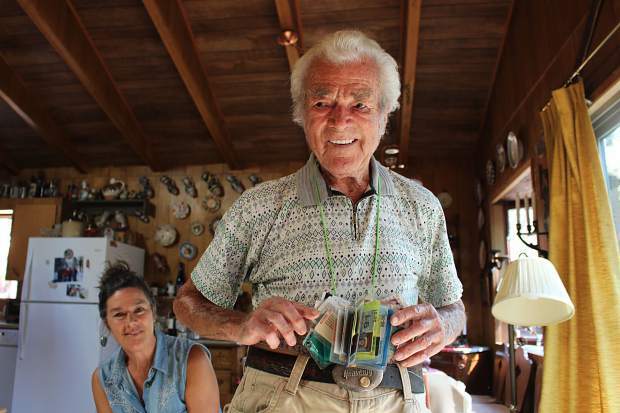 Community members began circulating a petition to name a run at Heavenly Mountain Resort after South Lake Tahoe resident and legend Martin Hollay, who skied 100 days at the age of 96 the previous winter. Organizers hoped to get the run renamed in time for Hollay’s 97th birthday on Nov. 1. South Shore residents got a dose of Hollywood when the cast and crew of ABC’s Emmy Award-winning television show “Modern Family” filmed the season nine premiere at Tahoe. 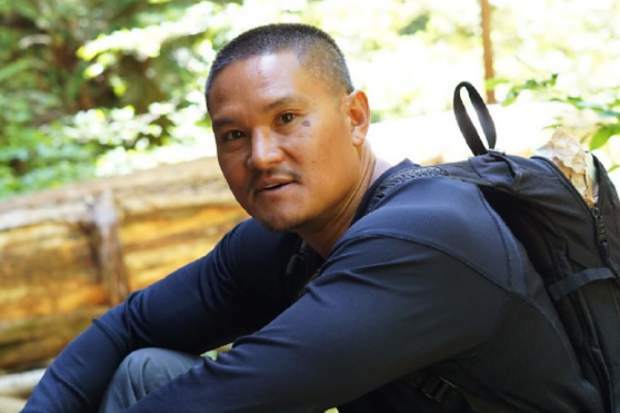 More than two months after he was reported missing, the body of Dan Vu Thanh Pham was found in 245 feet of water off of Rubicon Point north of Emerald Bay.